Summer is a blessing, go out to the terraces for a drink, the beach, ice cream, and vacations. But with the good weather, the oppressive heat also arrives, the one that leaves you crazed on the sofa at home. Notes that the air does not run, and that the environment is so dense that it can be chewed. But there is a very simple solution, the air conditioning. The first solution we are looking for is a fan, but it only takes a few minutes to realize that it is useless. Removing hot air is even worse, so finally this year we decided to install the desired air conditioning. But there the doubts arise. What type of air conditioning is best for my house? Where to put the air conditioning to cool it better and at the same time look beautiful? Will it be good with the decoration? Depending on the size of your home, the number of rooms and floors you have, you will need a Split or Multi-split type to cover several rooms. The Multi-split allows a single external fan to have several internal devices distributed. This type of air conditioning is a good option to have at home if you want to cool several rooms or floors. For example the dining room and the bedrooms, the floor above and the floor below. It is a huge advantage not having to install several engines, and that is that you can have up to 8 internal devices. 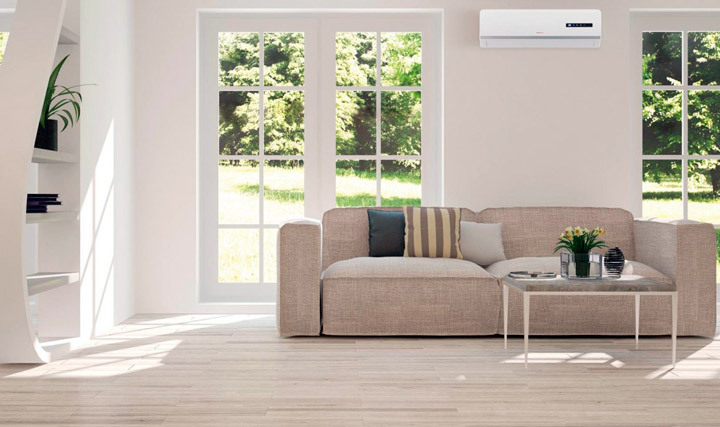 If you do not need so many devices you can opt for Split air conditioning, which differs from Multi-split air conditioning by allowing only one internal device. The clear advantage is the cheapest price, the smallest size of the external engine and the lowest energy consumption. 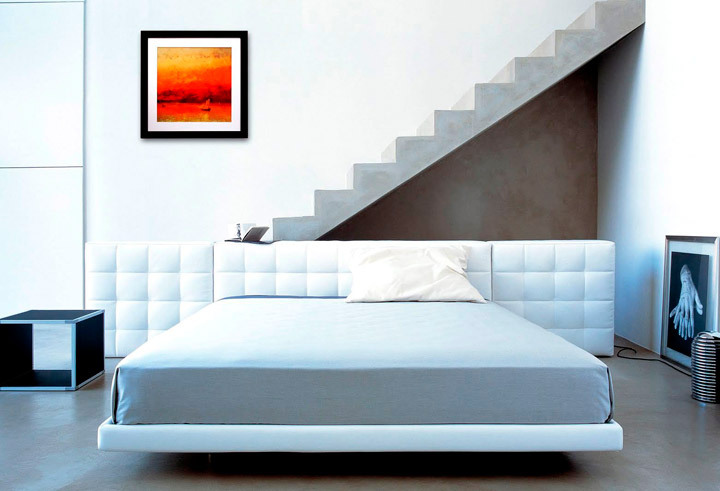 The hot air rises and accumulates near the ceiling, so you always have to place the device as close to it. It is also the best place so that it does not interfere with the decoration. Nowadays there are options for Splits that look like paintings, it is another option to make it even more disguised. It is better to place it on the larger wall, as centered as possible. In this way, it is possible to improve the airflow so that it is distributed throughout the room. I know that the idea of placing it in a corner seems the best so it can not be seen, but it will not cool like that. If you go to sleep with the air on, do not put it on the bed, or on top of it. Apart from the cold that you are going to go through, it is not good for you to get directions. Do not think that setting it to lower degrees it will cool down faster. The degrees only mark the temperature at which the air has to stop coming out cold. What can help lower the temperature faster is the power of the fan? Putting a Split in the hallway will not make the rooms cool. It is a common mistake to think that cold air from the corridor will flow into the rooms, but it is not so. You have to put a Split in each room you want to cool. In short, you can install Split or Multi-split, as you want to have one or more devices at home. If you want to cool several rooms the best option is the Multi-split, because with one motor you can have up to 8 internal devices. They have to be installed as close to the ceiling as possible and in the middle of the larger wall so that the cold air is distributed evenly.